Hiya, we are developing a very large scale web application (more than 3000 pages , over 10000 classes), and it has all developed with jsf 1.1,jsp,pojos,jdbc. not it is time to refresh the whole app with new shining technology, we are planning to use seam 3, jboss 6 or 7. Afew days ago i downloaded jboss 6.0.0 final , i just run it. and i got lots of exepctions. i didnt deploy anything. it was outside of eclipse. then i did the same on different computers at work(i downloaded again per machine and on that machine), it happened the same. platform windows 7, i tried it on windows XP alsoe, the same result. so what is the problem u think? What command do you use to start the server? Please attach the boot.log and server.log files. Also, have you or someone else added/changed any jars from the JDK installation folder? How about trying to dowloand a clean JDK installation and pointing JAVA_HOME to that location? Does that work? 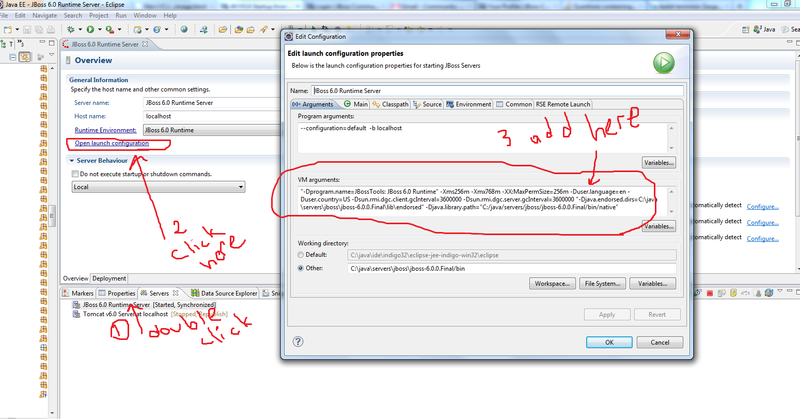 By the way, you don't have to set JBOSS_HOME, it will be automatically set by the server startup scripts. thats where JAVA_HOME points now. like i said i didnt change any configuration i just downloaded and run it. Unpack this file: D:/jboss-6.0.0.Final/server/default/deploy/jboss-ejb3-embedded-impl-as.jar. In the base directory there is a file named embedded-ejb-as-adaptor-jboss-beans.xml. Post the contents of that file. OK, those look just like the ones I have. So that wasn't helpful. That option causes the JVM to list each class loaded and the JAR it came from. Look within jboss.out for anything that comes from an unexpected location (not from within the JBoss not the JVM directory). If nothing looks obvious, post the jboss.out file. I have only jboss proxy classes and dynamically created methods etc. but then i noticed that all computers that i tried to run jboss on, have Turkish Windows. I have an English Windows 7 but language is configured as Turkish. when i change my Windows language to English,the problem disappears. I had similar problem Turkish locale problem with Glassfish 3.1,it was trying to call methods in Turkish locale like getTimeİnterval(capital letter İ instead of I).It was a classloading issue. 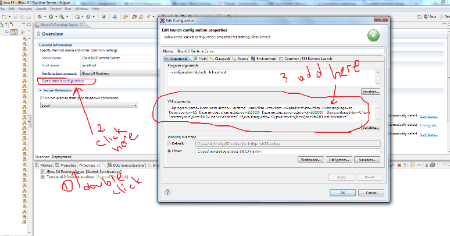 i dunno jboss 6 has the same problem or not? I dunno apart from Turkish locale how many locales are affected with this problem also? adding this parameter to run.bat file solves your problem ,but cant expect what kinda local specific problem may occurs. for example for jsf whenever u use <f:dateTimeConverter/> you have to set timeZone attribute (timeZone="EET" for me) with your own timezone.if not,converter will calculate the date acording to US,en timezone. probably there will be issues with currency stuff but cant be sure. Indeed! Wouldn't have been easy narrowing it down. I'm still curious why the JBossXB parser ended up with such a weird error message. Time to play around with language settings and see if this can be narrowed down to some bug. Thanks Enes. For your answer. I want to add something and give some details about the bug if you let me . İf you are starting the jboss in eclipse. Editing the run.bat or adding jvm parameters did not work at least for me.I think eclipse is using copy of jboss-jvm parameters. I clicked the servers tab and double click jboss. And click open-louch configuration and add jvm parameters there. This works for me. This is typical Turkish "I" problem. I think jboss testers must test this issue.It is a known bug of all software systems. If you are writing international softwares. Small letter of a big one A and it is same in all languages this is true for every letters except one letter. I hope it helps expecially for Turkish people.